So here we are, a quarter of the way through 2016 and I’ve barely gotten over the fact that January is over. Anyway, onwards and upwards! I feel as though I’ve been a bit all over the place with my makeup this month. 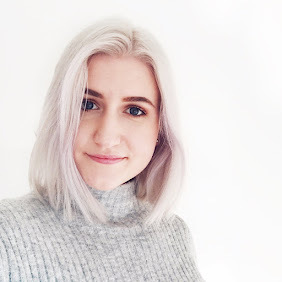 I’ve been using a lot more bright colours and rediscovering old products, but seeing as I’ve waffled on about them all month on the blog already, I tried to pick out some standouts that I haven’t featured as much! 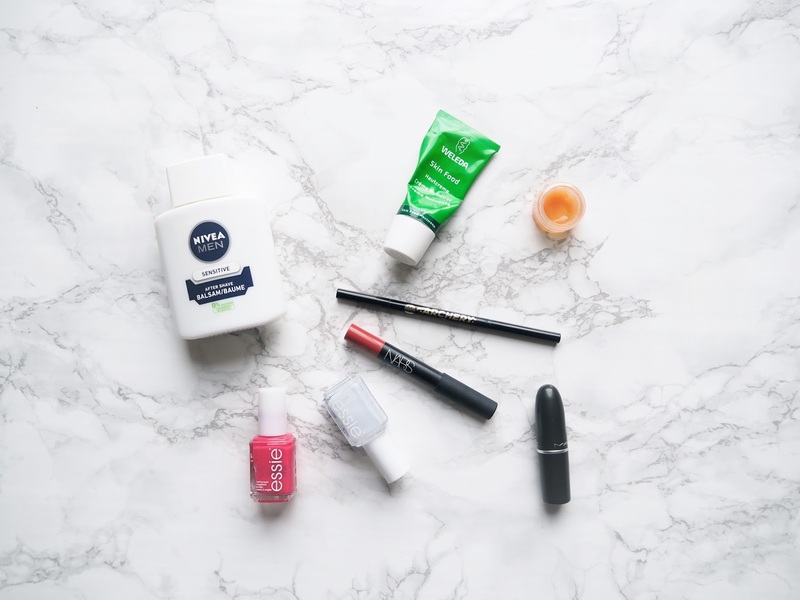 So as per usual I’m going to be rounding up some of the beauty bits I’ve been loving during the month of March! 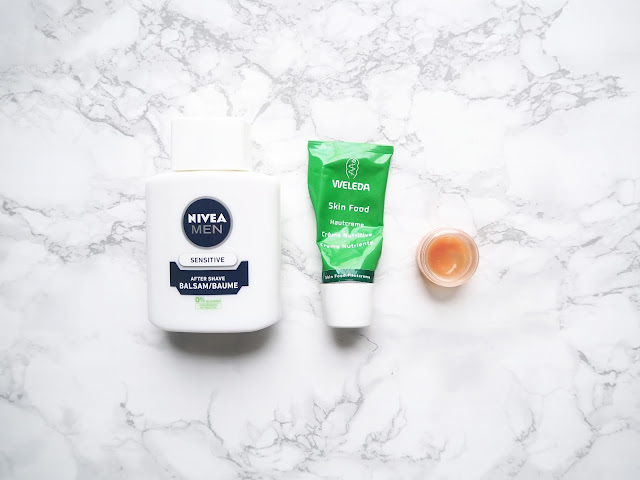 Weleda Skin Food – My skin has pretty much said “sod it” in every way this month and I’ve had to deal with dryness, redness and breakouts a lot these last few weeks. I’m currently in between repurchasing skincare that’s run out, so I’m trying to use up products that I started a while ago and haven’t gotten through yet. Given my Sahara-Desert-dry face, I thought that this would be a good candidate as it’s a super thick (almost oil-like) cream. Sure enough this has done a pretty darn good job at sorting out dryness so it’s been a definite favourite for me this month! Nivea Men Post Shave Balm – I’m pretty sure we all know by now that a lot of beauty bloggers and vloggers have been using this as a primer and I caught the bug too and decided to give it a try. It’s nothing short of love and I’ve worn this every time I’ve worn foundation since picking it up this month. If you’re looking for a good primer, give this a try before breaking the bank! I’ve written a full post on it here. Elizabeth Arden 8 Hour Cream – See that dodgy little pot with the orange stuff in it? Yeah, that’s my very amateur way of nicking this from my mum’s big tub of it. As I mentioned, my skin has been so ridiculously dry through March. I’m not entirely sure why, but my face, hands and lips have been in dire need of hydration all month. For the latter two, this product has worked wonders. I occasionally dabbed a bit of this on the dry patches on my knuckles (gross I know) and let it sink in. As the texture of this is so thick, you can also use it as a lip balm and it completely sorted out my chapped lips in a matter of days. Talk about a multi-purpose product! I’ve since kindly been gifted a proper tube of this so I no longer have to steal it – thanks mum! 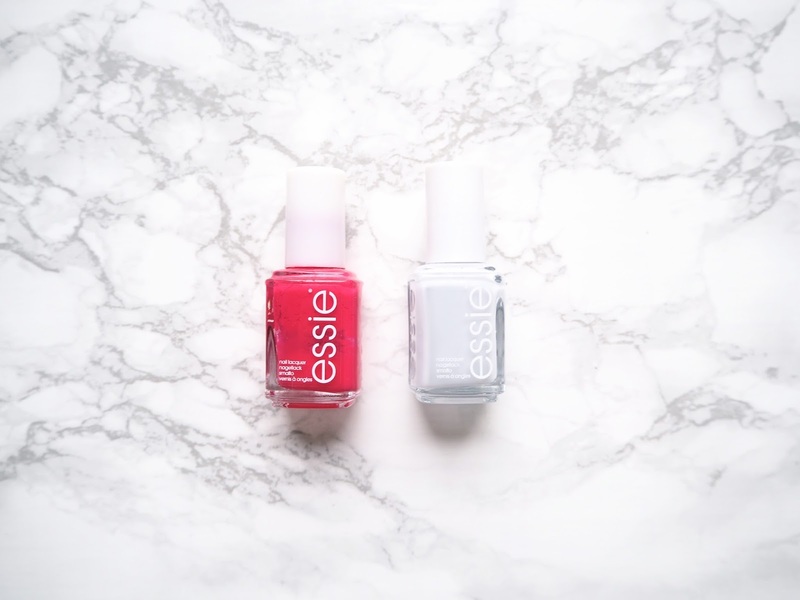 Essie Watermelon – Is this shade not just the epitome of spring and summer? This is by far one of my favourite Essie shades ever and I’ve worn it a whole lot this month! Aside from the colour being gorgeous, it’s a bit of a one coat wonder, which just seals the deal for me really. A definite staple in my spring nail wardrobe! Essie Hubby for Dessert – Although this is slightly more on the neutral side of things, it’s still such a unique shade. This is a really pale bluish lilac shade (me and my top notch shade descriptions) and even though it’s a really sheer shade, it just makes your nails look very neat and polished. I find that although you need a few coats of this to get a more or less opaque finish, it does actually last really well. A lovely pastel shade for spring! Soap & Glory Brow Archery – I’ve spoken about this product on the blog enough to last me a lifetime, but since I was only recently reunited with it, I thought I had to stick it in a favourites as it’s pretty much all I’ve been using in my brows all month. I won’t go on, but it’s a great, affordable brow pencil that I think everyone should try! MAC Stone Lipstick – Here I am, waffling on about how much I love spring all month and the lipstick I’ve been reaching for throughout most of the month is the grungiest shade I own. I’m not sure what the reason is that I’ve been so drawn to this through March, but I’ve just fallen in love with it all over again. I think it’s definitely a bit of a marmite shade because it’s such a unique colour. It’s a brown that leans almost to the grey side of the colour spectrum and it’s one of MAC’s matte formulas. I’ve loved wearing this with just a hint of a warm toned peachy cream eyeshadow on my lids. Not the most spring-like combo, but gorgeous nonetheless! 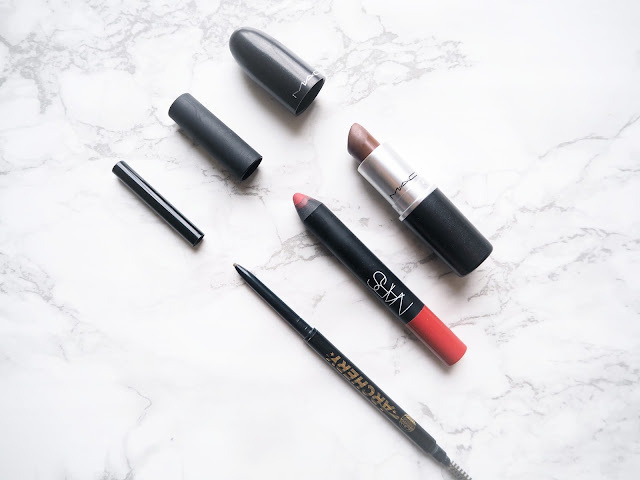 NARS Dolce Vita Velvet Matte Lip Pencil – Finally we have a bit more of a spring shade to round things off! I spoke about this in my spring makeup essentials post, it’s just such a great shade for this time of year. I’ve said this before, but there’s something about the colour of this that just really perks up your complexion and makes you look super healthy. I tend to wear this with simple eye makeup and a shedload of highlighter. Slightly pricier but well worth the splurge! As you can see there weren’t a whole load of favourites this month but these bits are products I’ve really used a lot throughout March! Quality over quantity and all that. I’m so pleased that we’re properly getting into spring now and I’m really looking forward to the warmer weather! Here’s to packing away the snow jackets and cracking out the sundresses! What have been some of your favourites this month? Great list! I'd love to try that brow pencil and that essie watermelon shade is such an awesome color for all the beautiful weather coming up. omg I also am obsessed with Mac Stone!! Great picks, I have some really great things about the Weleda skin food, definitely going it pick it soon. And that Nars lip pencil looks beautiful.